Last weekend I shot photos at an indoor birthday party. I’ve been trying to challenge myself by shooting in doors a lot lately. I quickly discovered that my Tamron 28-75 2.8 is for outdoors only. The Sigma 30mm 1.4 was a star for indoor pictures. I want to skip all these non-Canon lenses and get some Canon L-series ones, but I vowed to learn all the ins and outs of these guys first. How can you be a good photographer if you don’t learn how to appreciate things? Its like drifting…learning on a 100hp crap car will make you a better driver in the long run. 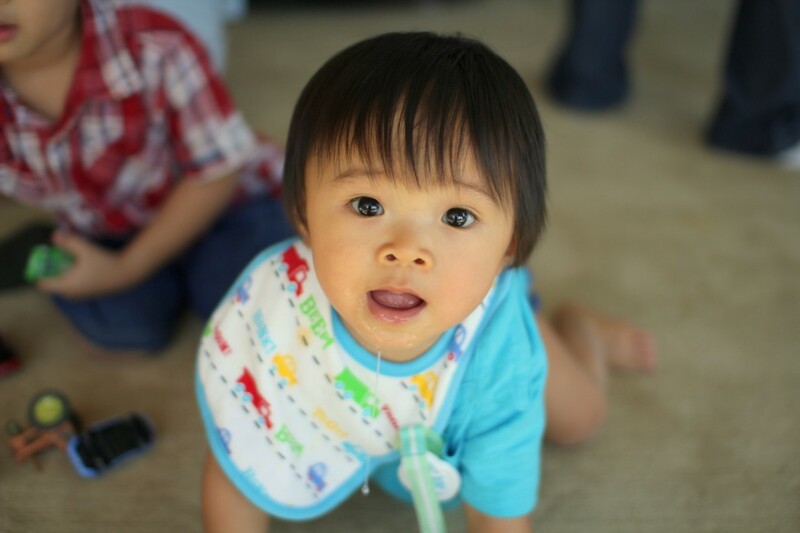 Happy 1st Birthday Ethan Hiro! This entry was posted on Monday, September 12th, 2011 at 6:00 am	and is filed under I am a photog. You can follow any responses to this entry through the RSS 2.0 feed. You can leave a response, or trackback from your own site.